Florida Atlantic University is one of 12 schools that is part of the state’s university system. The Boca Raton campus boasts 3,200 faculty and staff, providing educational services and support to 4,000 students. The College of Medicine, though small in size with 373 students, required a robust access control system that enabled the integration of video surveillance and the ability to partition access to specific areas of the facility. With C•CURE 9000, Florida Atlantic University can easily manage student access to classrooms and laboratories, which can range from 24-hour access to the building to limited facility access during examination time. In addition, the university needed to restrict access to medical record rooms, the pharmacy and other sensitive areas. 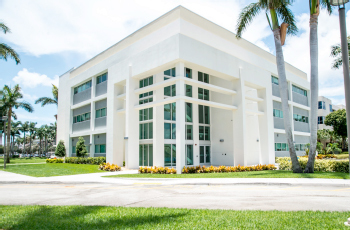 The access control system is also part of the Florida Atlantic University’s Schmidt Biomedical building, with C•CURE 9000 providing coverage for all exterior entrances, research labs and elevators leading to animal research floors and the anatomy labs. According to Patrick Garmon, Director of Security Technology for Florida Atlantic University, it was important to implement a system that enabled the university to manage student access to buildings by floor and room, not just to restrict overall building access. In the future, Florida Atlantic University plans to use the C•CURE Go mobile application, which will enable security personnel and its on-staff technician to change access status or remotely monitor the system using an iOS or Android mobile device. For more information on C•CURE 9000, visit Software House at www.swhouse.com.